I sometimes worry a lot. When I find myself worrying I pray, but then after praying I begin to worry again. Jesus knows that we like to worry about our finances, our jobs, shelter, our children. Anything that we care about we worry about it. So Jesus reminds us that our heavenly Father already knows our needs. This implies that God will provide when He sees our needs. The Lord said that instead of worrying we should focus our attention on the Kingdom of God. We can do this by building our bodies as God’s holy tabernacle and developing an intimate relationship with Him. 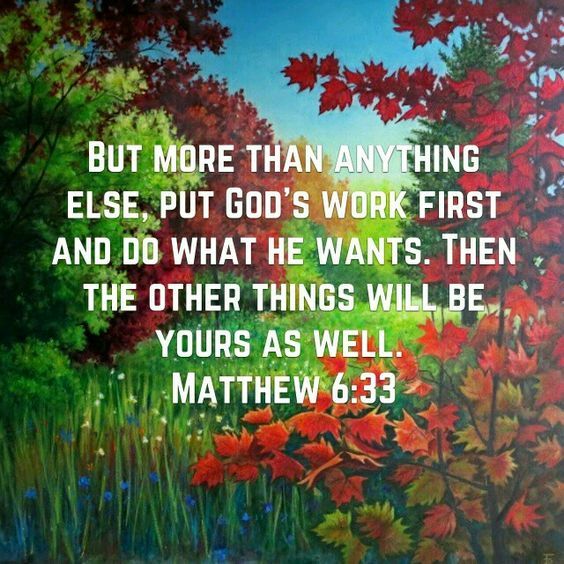 In so doing everything that we tend to worry about, God will automatically give us. Seeking Him first is important. Yes God must be first place on our lives. Thanks for the confirmation.